The «TRAINING VOUCHER» program aims to achieve a structured path for the entry of unemployed in the labor market, which will potentially lead to a placing in the private sector of the economy. A key feature of this action is the large number of direct stakeholders, such as the Managing Authority of Applications of the Ministry of Labour, Social Security and Social Solidarity as the main implementation body, the Managing Authority of Human Resources Development Operational Programme as a funding body, the Manpower Employment Organization as an institutional body responsible for employment issues and the CTI 'Diophantus' as the IT partner. To these must be added bodies that implement calls such as Voucher, namely the Technical Chamber of Greece, the Journalists’ Union of Athens Daily Newspapers, the Labour Institute of the Trade Union Congress of Greece, the Maritime Labour Employment Office and the Ministry of Health and Social Security. The innovative character of the action is largely based upon the use of the VOUCHER informational system (http://voucher.gov.gr), which provides citizens, businesses and the public authorities’ executives with online high-quality services regarding the overall management of training processes. The VOUCHER management system, implemented by CTI 'Diophantus', adopts a modular architecture and consists of several individual subsystems. Each subsystem is specialized appropriately in each call, as the requirements differ per call and the management informational system is required to model different business logic and data management. 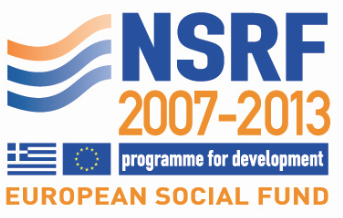 Apart from implementing multiple and complex workflows, the VOUCHER informational system is also interconnected and exchanging data online with other public informational systems such as the informational systems of Manpower Employment Organization, National Organization for the Certification of Qualifications and Vocational Guidance, Loans and Consignments Fund, Technical Chamber of Greece and Journalists’ Union of Athens Daily Newspapers. In this way citizens and training providers are allowed to participate and take advantage of the benefits provided through the training programs, thus minimizing the use of documents and bureaucracy. Public authorities involved are also able to monitor and supervise the foreseen for the training programs procedures, thereby greatly reducing management costs and implementation, monitoring and controlling completion time. To date, 14 calls have been implemented, 9 of which are active, with a total of 571.481 participation applications. The data center serves over 2.500 concurrent users in fairly long time periods. Overall, 974 training providers and 44.843 businesses have offered theoretical and practical training respectively, to 102.121 beneficiaries.